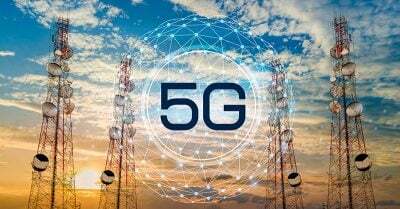 “The 5G Rollout is Absolutely Insane.” Dr. Martin Pall, Professor Emeritus of Biochemistry and Basic Medical Sciences, Washington State University. Electromagnetic Sense Ireland (1) has possibly the most comprehensive, accessible, expert material to be found on 5G. It makes chilling reading. “5G is the next generation of mobile and wireless technology. It is being touted as the next best thing in communications – providing faster speeds (up to 100 times) and higher capacity transmissions to carry the massive amount of data that will be generated … A dense network of antennae is needed for 5G to operate, so these will be placed on thousands of lamp posts, poles, under manholes, street equipment etc. “As well as 5G on earth, there are plans to put 20,000 satellites in space. The intention of this is to completely cover the earth in wireless radiation. “It would irradiate everyone, including the most vulnerable to harm from radiofrequency radiation: pregnant women, unborn children, young children, teenagers, men of reproductive age, the elderly, the disabled, and the chronically ill” states Ronald Powell, with a PhD, in Applied Physics from Harvard University. One hundred and eighty doctors and scientists from thirty six countries have already written to the European Union demanding a moratorium on 5G implementation. 5G is part of a seven Trillion Dollar business. So in Trump Land, clearly to hell with all life on earth – or is he actually unaware of the unimaginable horror of what he is championing? Radiation from whatever source kills, deforms, attacking the unborn, wreaks havoc – as the haunting birth deformities and cancers, environmental devastation from Hiroshima and Nagasaki, to the testing grounds of the Pacific Islands, to Iraq and the Middle East show in horrors which follow the generations.